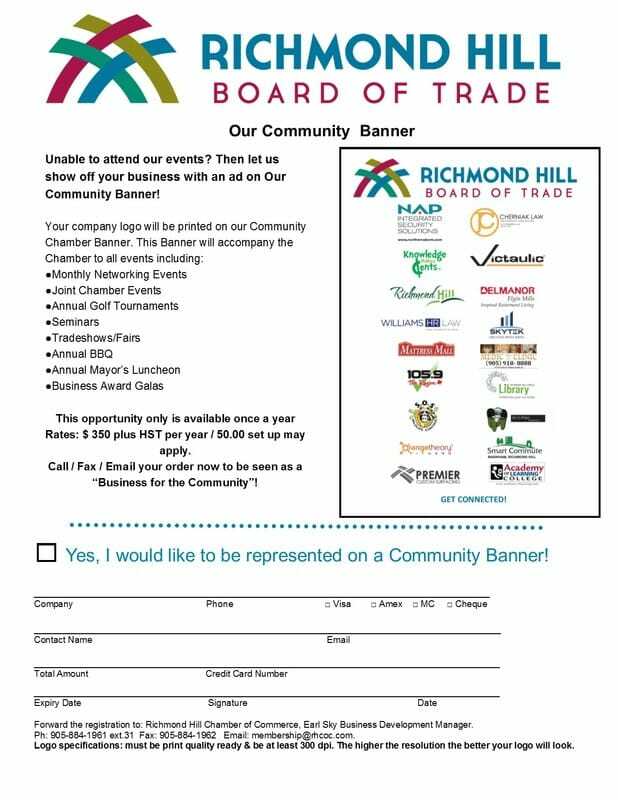 Community Banner - "Business for Your Community"
The Richmond Hill Board of Trade holds/attends numerous chamber and community events. The Board of Trade would like to give it's members the opportunity to be represented at each of these events on our Annual Community Banner. Logo specifications: must be print quality ready & be at least 300 dpi. The higher the resolution the better your logo will look. For ad design add $50 + HST (includes 2 revisions). Click here for faxable form.